Here’s a new idea for people managing any sort of facility or operation. 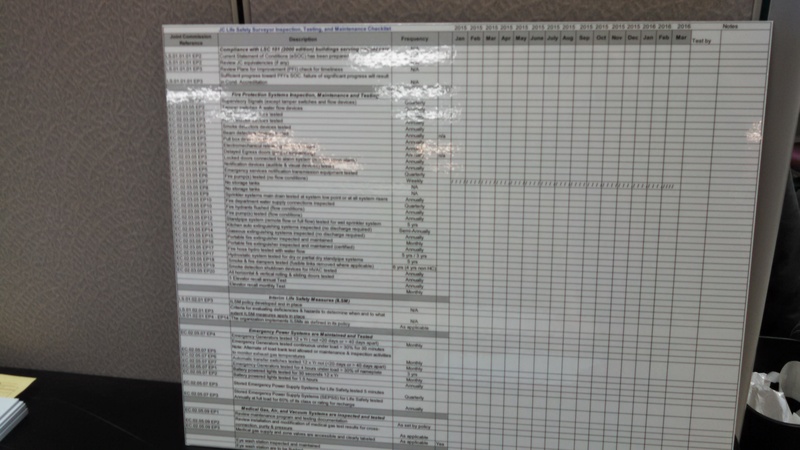 Our customer wanted to have a large checklist, in this case to monitor safety items. They sent us an Excel file, and we printed it in large size and laminated it with clear plastic. This gives them a large chart they can write on with dry or wet erase markers. It’s easy to update, and they can keep their checklist for an entire year at a glance. It’s a good idea, and we pass it along! Happy New Year, everybody! This entry was posted in large format printing and tagged facility posters, poster size checklist, safety checklist. Bookmark the permalink.